Tagged under Rinko Ueda, Series. Calling this "subpar" would be an overstatement. Very choppy pacing, boring characters and strange-to-no satisfying explanations for why everything happens. The art if OK sometimes, though nothing remarkable. The only character that I liked and that was even remotely developed was Hibari, Sakura's mother - and she only serves as a plot device! For two chapters (60 pages), this is much too underdeveloped and there really is no proper transition between scenes, it's like they're flashed at you rapidly and you're not even given the time to breathe. 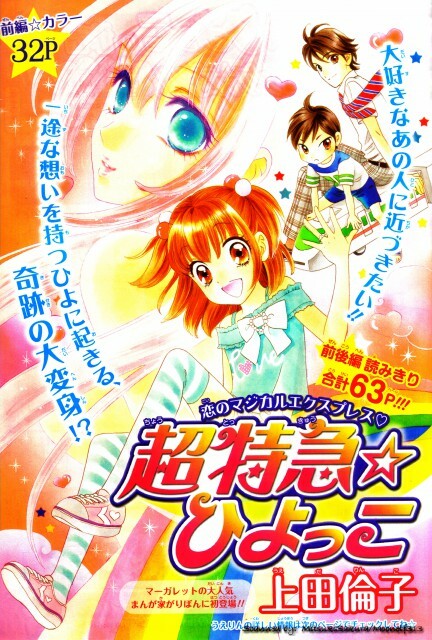 Don't waste your time with this, look up other shoujo. No feedback on Chou Tokkyuu Hiyokko.